Niagara Falls is not a name of single waterfall. Yes it is right Niagara Fall is not a single waterfall. It is a collective name of three waterfalls which is an international border between United States and Canada. Ontario and New York are the two cities of Canada and United States where Niagara Falls is located. 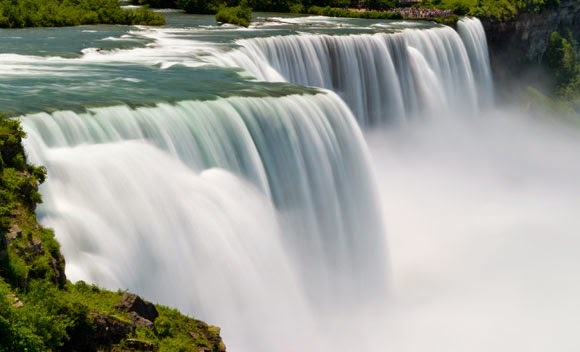 The Horseshoe Falls , American Falls and Bridal Veil falls are the three falls which are known as Niagara Falls. The Horseshoe Fall is the largest fall among all the water falls while Bridal Veil is the smallest water fall among all water falls. The Horseshoe water fall is in Canadian side. American Water fall is entirely in American side which are separated by goat island. Third and smallest Bridal water fall is also in American side which is separated from other water falls by Luna Island. Niagara Falls is the perfect place to spend your holidays. If you are planning to visit Canada or if you are in Canada then must visit Niagara Falls at Ontario. There are too many attractions, World Class Hotels and adventure places around Niagara Falls, Ontario. Niagara Falls is the vacation destination for families and couples. For Grown Up people there are nightlife, Concerts, Golf Courses, spas, Resorts casinos and wine country. If we talk about a children then it is like a theme park water parks in Hotels, Kids friendly hotels, tall buildings and Water Falls. 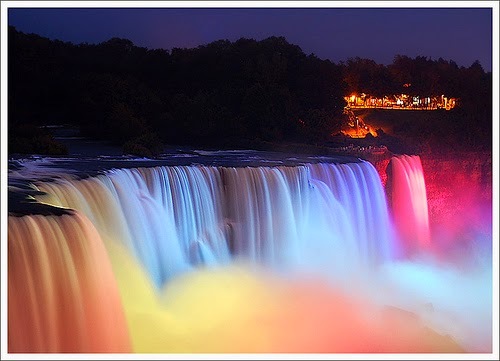 Niagara Falls look beautiful in night. 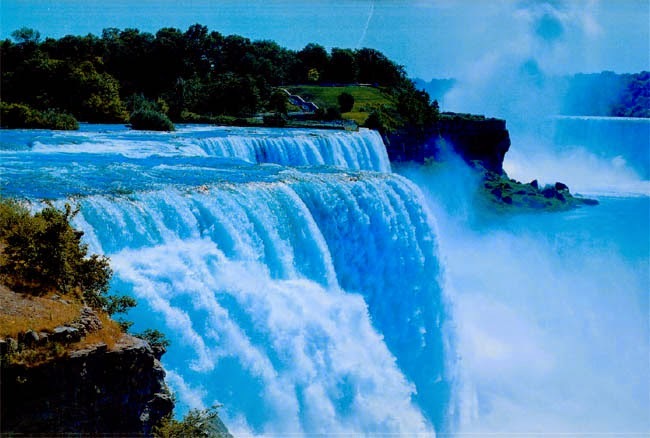 If you have not visited Niagara Falls then just visit it i am sure it will be a memorable trip for you and your family. So friends above is the information about Niagara Falls. I hope it is helpful to you. 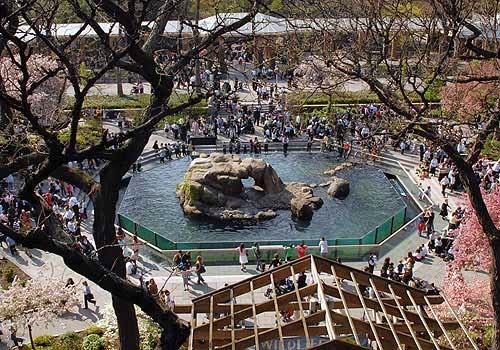 If you have visited this place before then mention your experience over here in comments so that other people can plan their trip accordingly. Have a nice day.